← Mountain Crossings 2018 Kick Off Party! Norovirus is a very unpleasant sickness, and can be common at the beginning of the Appalachian Trail. There have been people that have gotten sick at Mountain Crossings in the past because it can spread easily from infected people in closed environments. There are a lot of misunderstandings about Norovirus, so we just want to share the facts with you so you know how the virus occurs and spreads. Norovirus infection can cause the sudden onset of severe vomiting and diarrhea. The virus is highly contagious and commonly spread through food or water that is contaminated during preparation or contaminated surfaces. You can also be infected through close contact with an infected person. Diarrhea, abdominal pain, and vomiting typically begin 12 to 48 hours after exposure. Norovirus symptoms last one to three days, and most people recover completely without treatment. However, for some people — especially infants, older adults and people with underlying disease — vomiting and diarrhea can be severely dehydrating and require medical attention. The most common cause of Norovirus on the trail is water contamination. There are people who start the trail without any water treatment, and they get the sickness from a contaminated water source. I would not trust any water source to be clean unless I could see it coming straight out of the ground at a higher elevation. Even then, I still treat my water. Many of these sources have been contaminated by animals, and people. There are people on the trail who don’t know how to properly dispose of their waste, and they wind up going to the bathroom too close to the water source. Most common water filters on the trail, may not filter out Norovirus. To be safe, you should pair your filter with a chemical treatment, or use a filter that can catch viruses. It’s hard to say where individuals got infected before coming into Mountain Crossings. One theory is hikers get infected by the water source at Lance Creek. 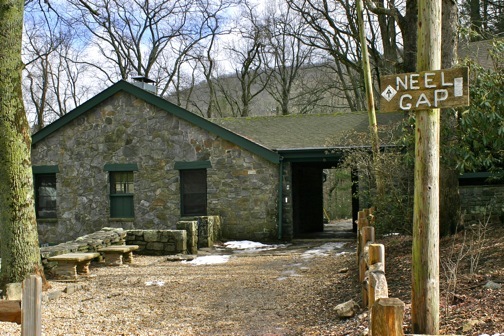 This camping area has no privy, and is limited in areas to use the restroom because it is steep around the campsite. I have visually seen human feces too near the creek there, and hikers have said they have seen toilet paper in the creek. But, we don’t know for sure. It could be anywhere from anyone! Once an individual becomes infected, it can spread easily in a shelter, other privies, hostels, even just shaking hands or passing an item to someone. Stay home from work, especially if your job involves handling food. You may be contagious as long as three days after your symptoms end. Definitely get off trail and stay in a hotel room by yourself until symptoms have cleared. Inform anyone you come in contact with that you are sick and be careful to avoid touching any common areas or items other might use. If you come into Mountain Crossings and you are sick, we definitely would like to know so we can prevent it spreading. We can help you pick out items you may need in the store and we can put you in contact with someone to take you to a hotel in town. 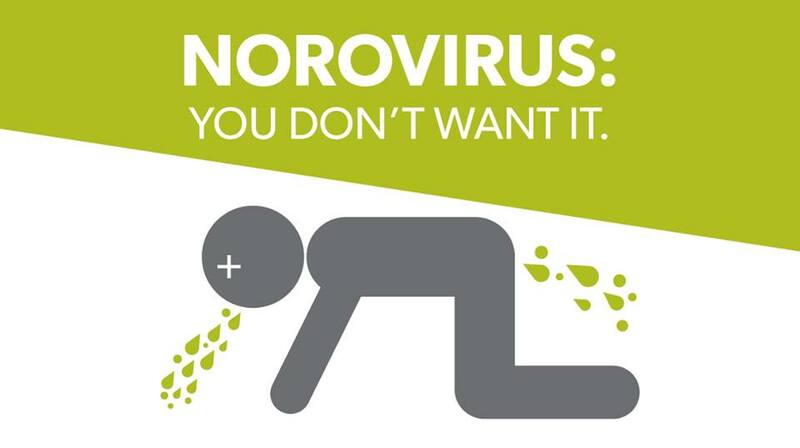 We hope this post has cleared up any questions you have about Norovirus! Do not hesitate to contact us if you have any other questions!